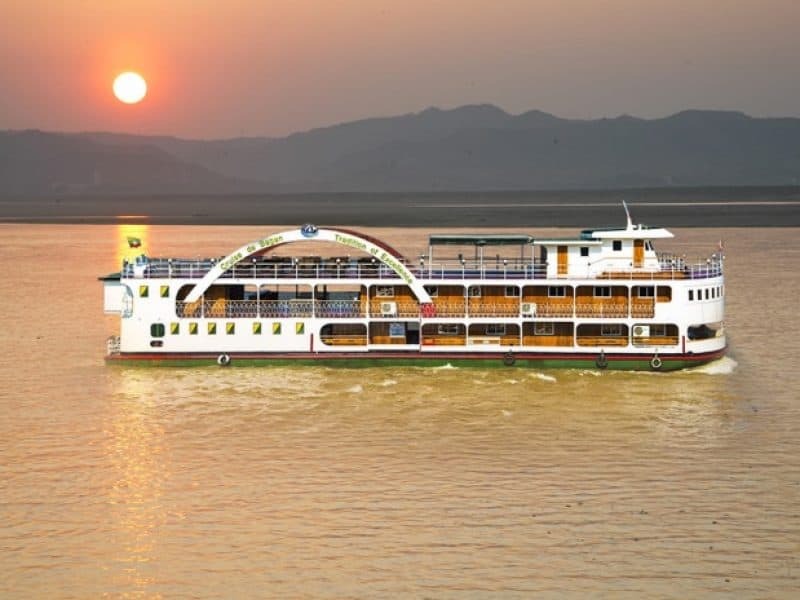 You`ll enjoy top-class service as you dine aboard the Cruise de Bagan , cruising past the light of Bagan after dark. 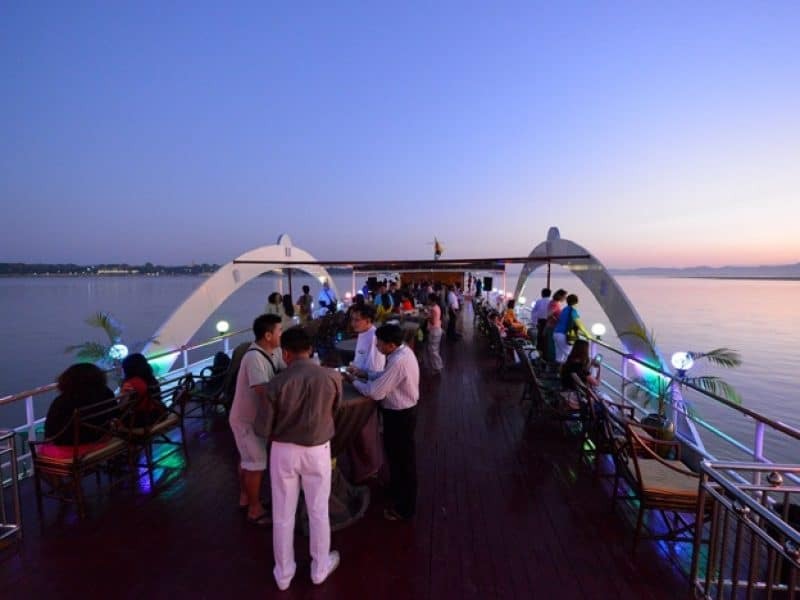 You’ll be picked up from your Bagan hotel and head to the ship for your evening of dining and entertainment. 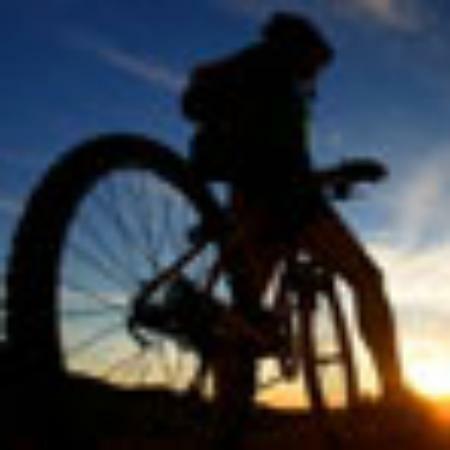 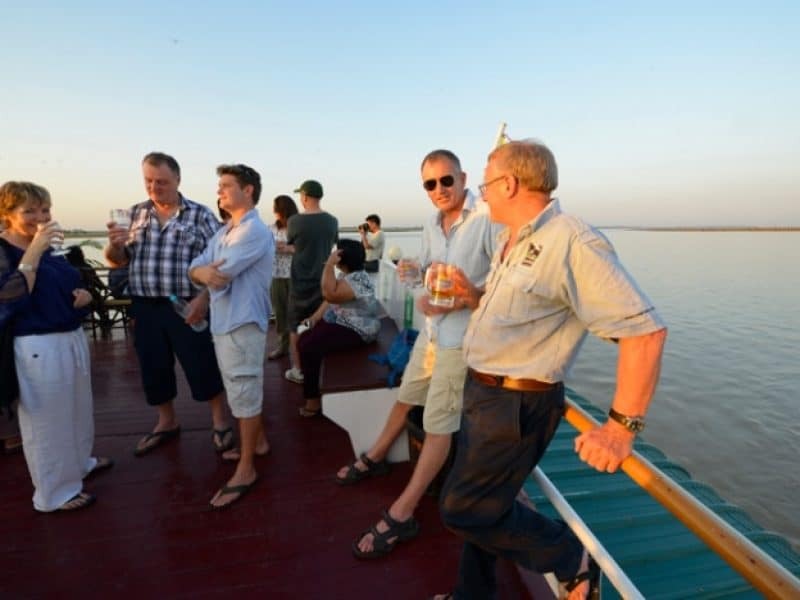 The Bagan Sunset cruise offers one of the best entertainment programs. 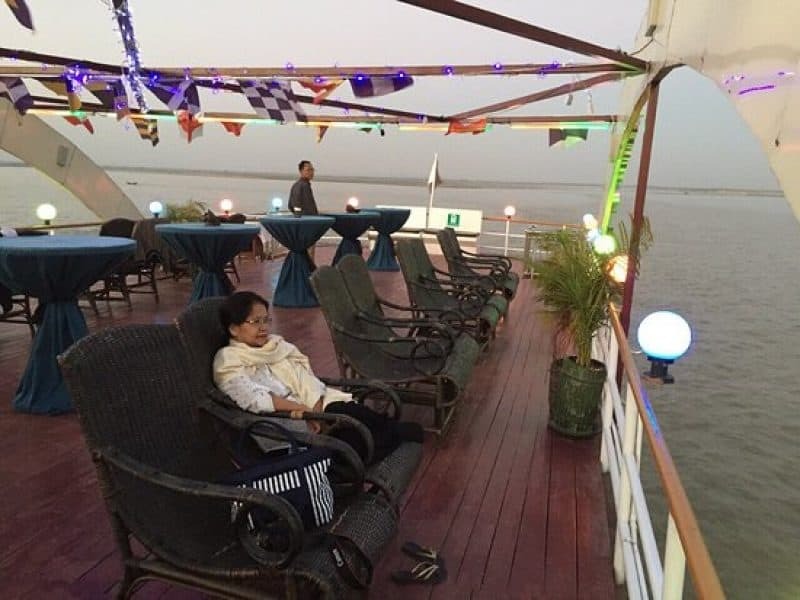 Evening cruise is designed for those who would like to enjoy Bagan’s sunset on the Irrawaddy River, accompanied by welcome juice and snacks.We also offer a la-carte and set menus on observation deck with natural breeze as well as air-conditioned restaurant on the main deck. 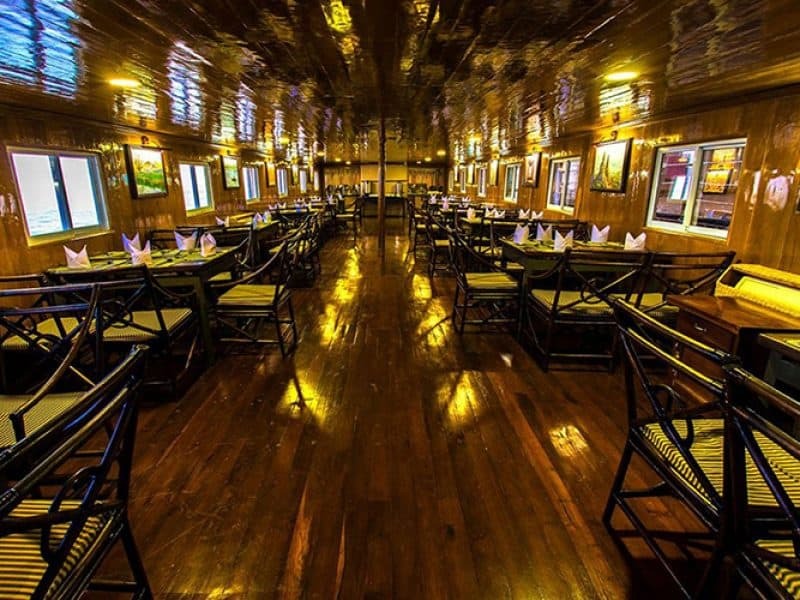 Following your meal, sit back and enjoy the sparkling live entertainment. 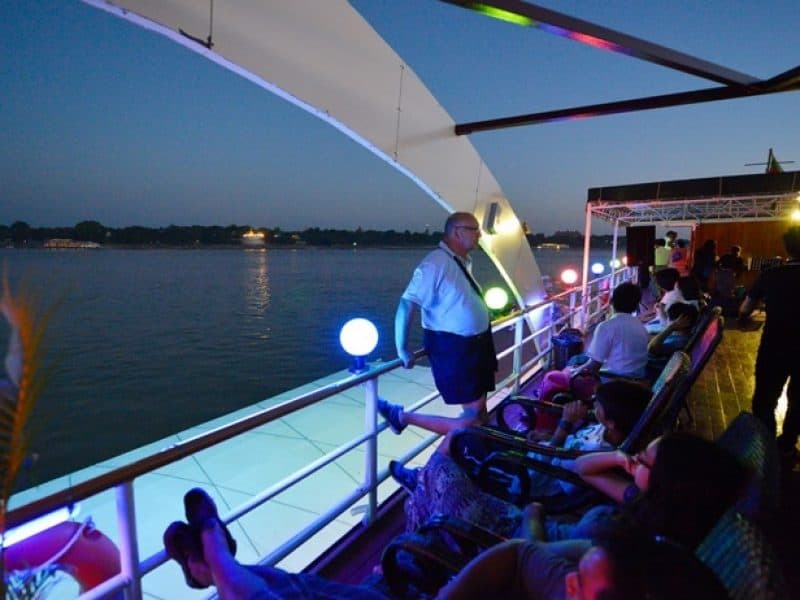 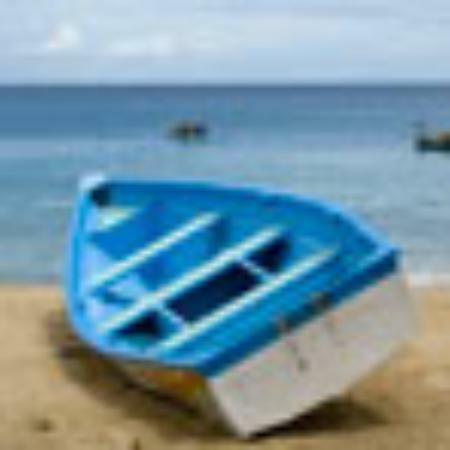 After the sunset, step back ashore and end your sunset cruise experience with a drop-off back at your hotel. 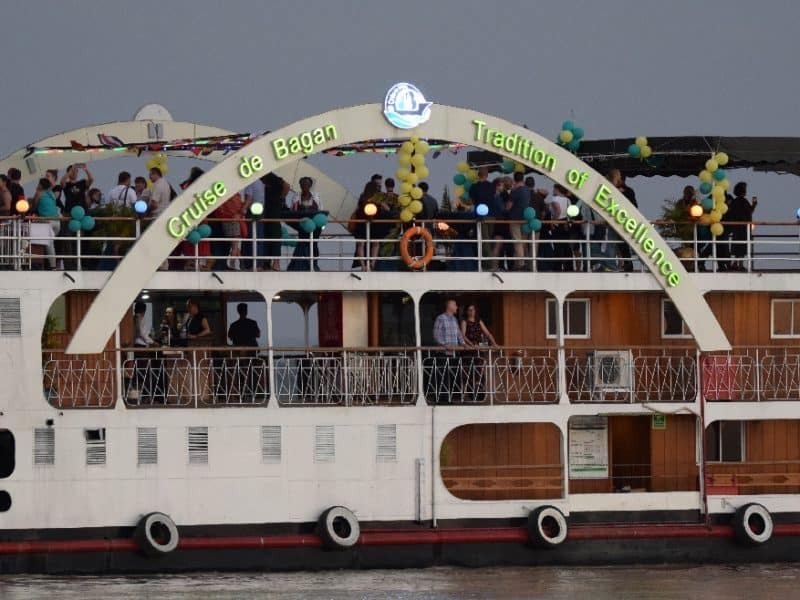 Whether you are looking for a romantic outing, or a relaxing way to enjoy the evening sunset, our sunset cruise will satisfy any occasion.